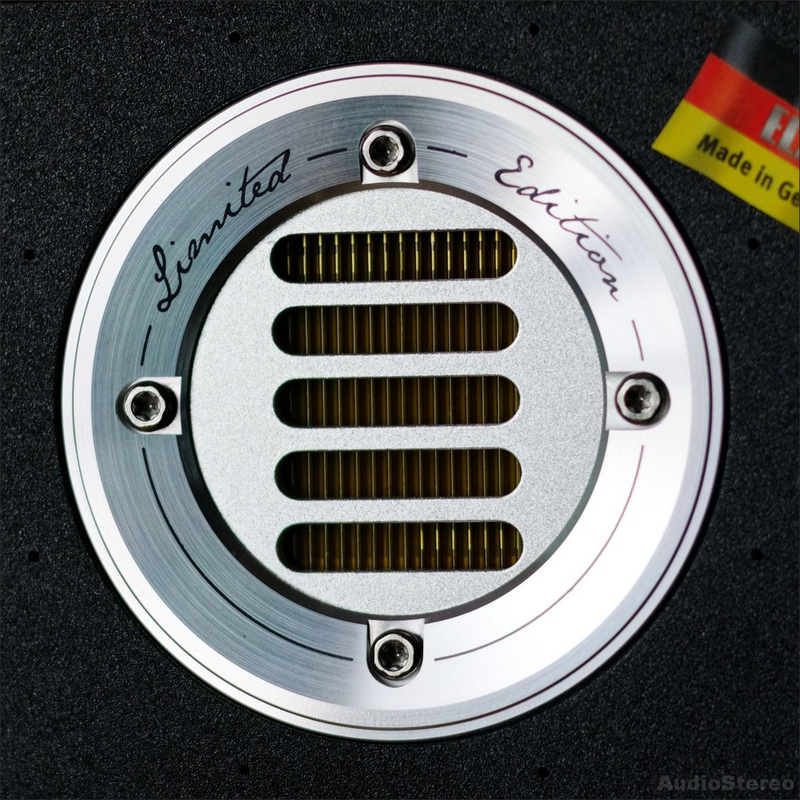 The JET tweeter, developed to perfection on the basis of the famous "Air Motion Transformer" by loudspeaker pioneer Dr. Oskar Heil. Its principle: a concertinaed foil membrane is driven by a strong magnet system of neodymium rods. This motor drives the air considerably faster than the conventional pistonic technique. High sensitivity and extraordinary dynamics are the result. 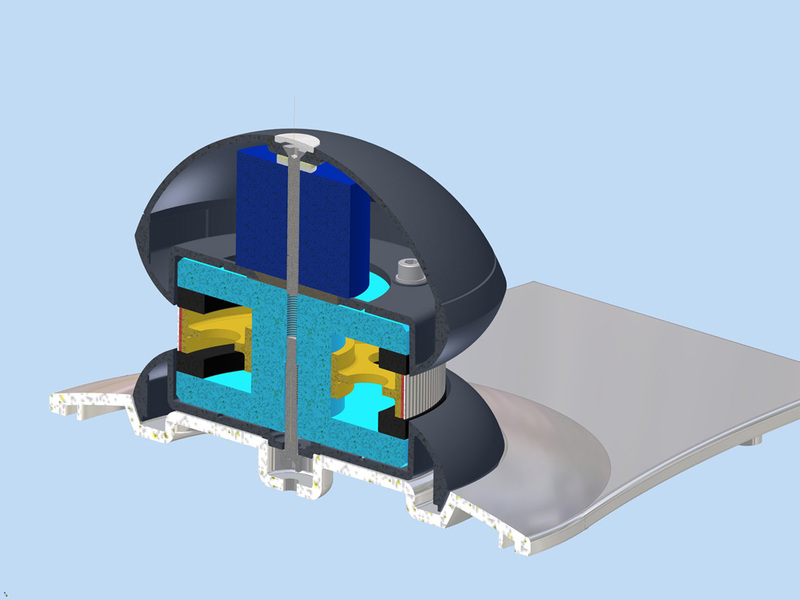 The tweeter's membrane and the coil are one piece thus the efficiency of the whole system is dramatically increased: there is no more energy loss at the joining between the wire coil and the dome – the two move exactly the same instant the current passes through the coil and this results in a better performance. 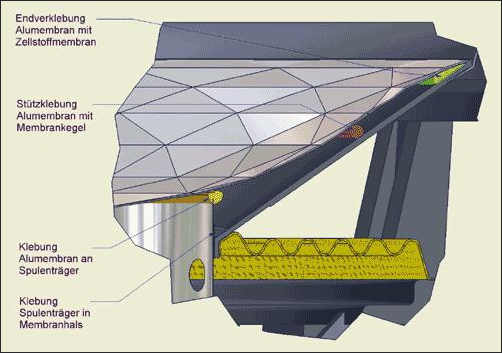 The custom built folded foil diaphragm sets the JET tweeters fundamentally apart from all conventional tweeters. The lamellar drive "breathes“ the air in and out. The result: ultra smooth treble with stunning transparency. 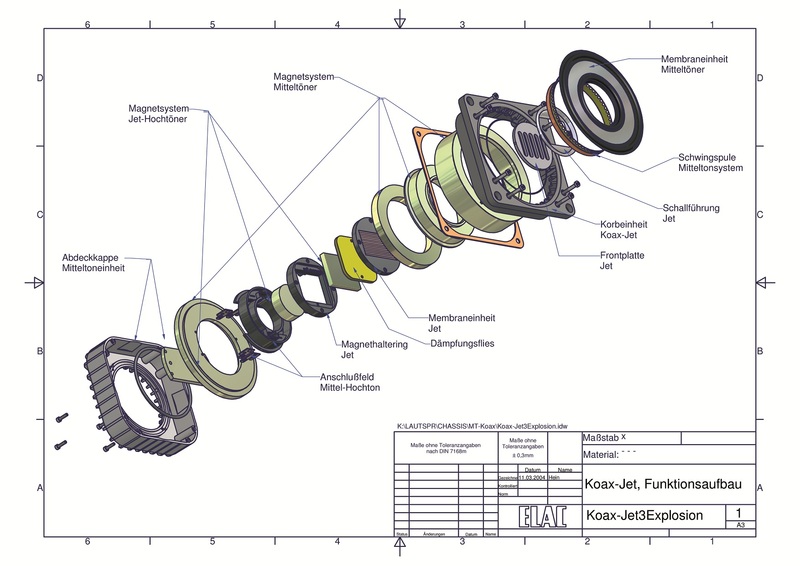 JET III - How it works? Current through the membrane 2 causes it to move left and right in magnetic field 6, moving air in and out along directions 8; barriers 4 prevent air from moving in unintended directions. 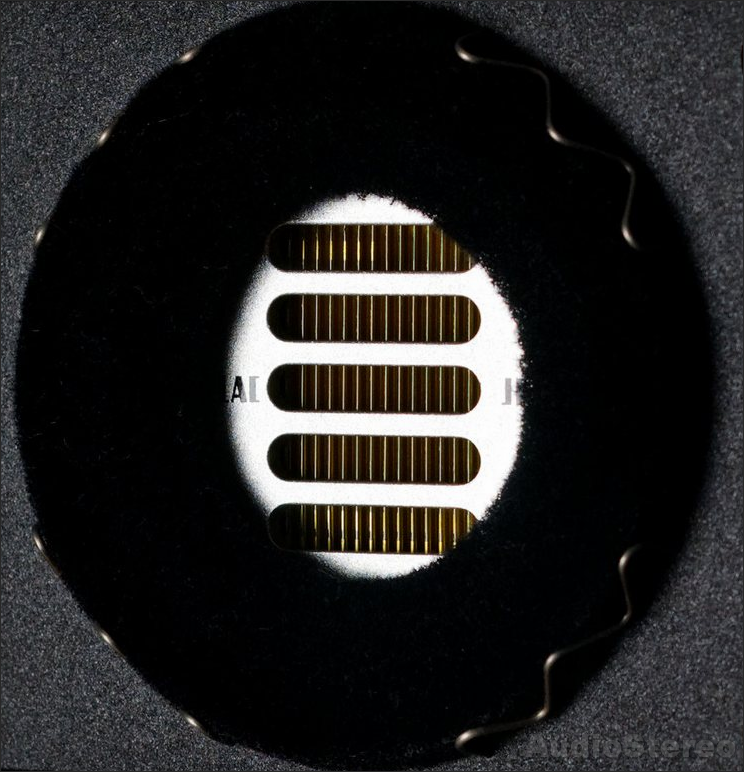 The diaphragm pushes back and forward from itself in a similar physical motion pattern to what is observed when an accordion is squeezed in and out to pump air though the reed chambers, albeit over an exceedingly smaller motion range. The result is a dipole driver with an extraordinarily rapid response rate, caused both by the extremely low mass of the polyester driver, and by the far smaller motion range it undergoes on each “swing” compared to a dynamic driver. In this technical respect, it shares characteristics with the electrostatic driver. The discernible motion of each of these diaphragm flexes is very small, but because of the folded structure more air is moved than would be by a conventional cone or electrostatic driver of the same plotted surface area. As a matter of surface comparison, a standard one-inch-wide AMT strip has a functional driver area which is comparable to a circle-shaped dynamic cone with a diameter of eight inches. 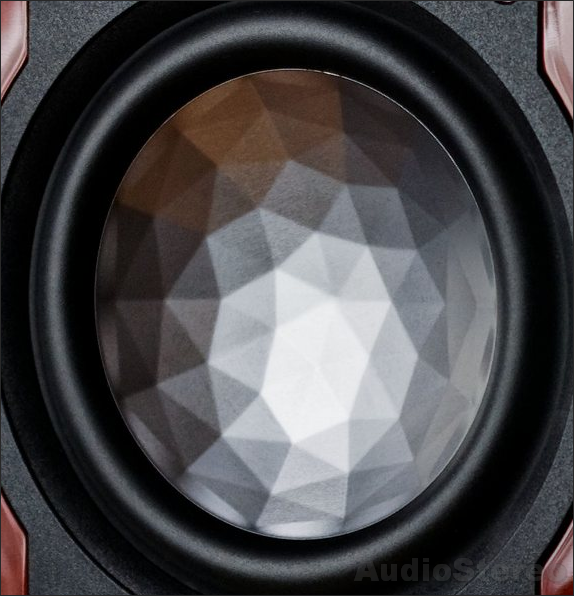 The folded driver design, combined with the small motive range, means that the AMT acts like a point source version of a larger driver, inherently resulting in lower distortion in sound reproduction. As a result of its motion pattern, the AMT "spits" the air out in a way which is compatible with what happens when, although you apply only a small amount of pressure to a slice of fruit, the pip inside shoots out at high speed. The motion of the air as it leaves the diaphragm is in fact around five times faster than the motion of the actual driver structure. Hence the name Air Motion Transformer. 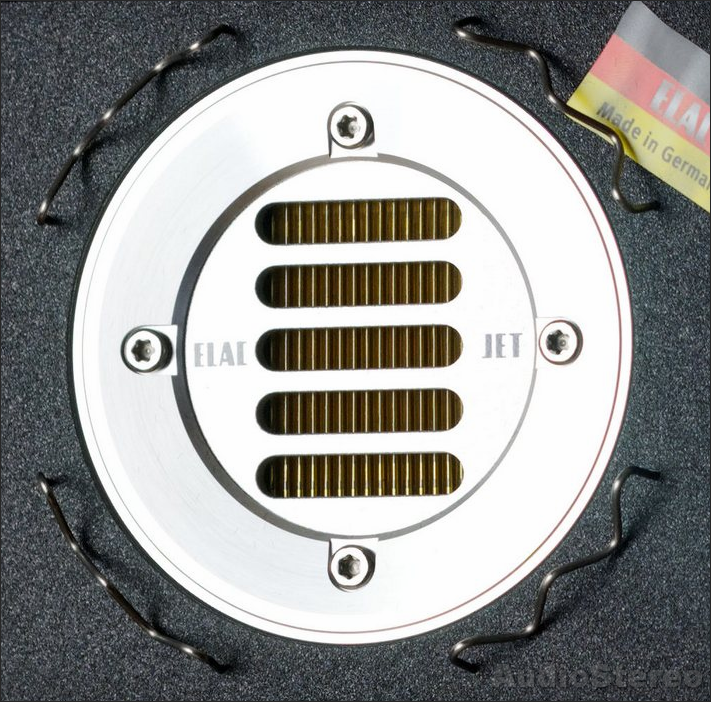 "ELAC's signature JET tweeter is their advanced development of Dr. Heil's Air Motion Transformer, a transducer without conventional voice coil assembly. 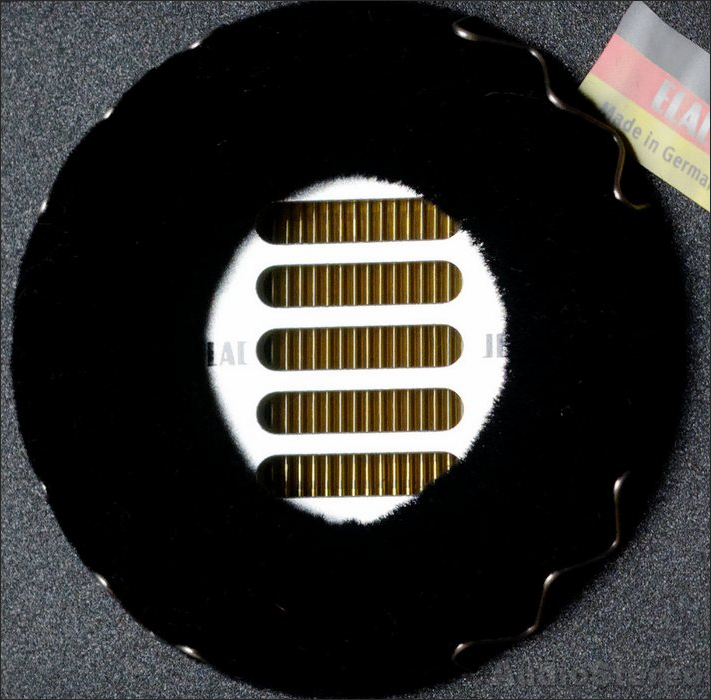 A heavily folded Kapton foil membrane sports a chemically bonded aluminum layer etched into which is a quasi voice coil. 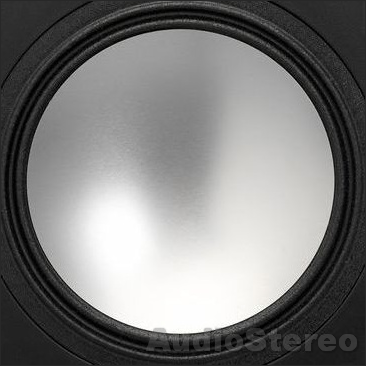 0.84mm wide, this driver operates like an accordion, squeezing air out of its folds at high velocities, albeit with the mechanical motion -- and this is the trick -- not in the direction of the listener but crosswise. This concept displaces a lot of air with minimal effort to explain the general claims for high dynamics and good efficiency with AMTs." 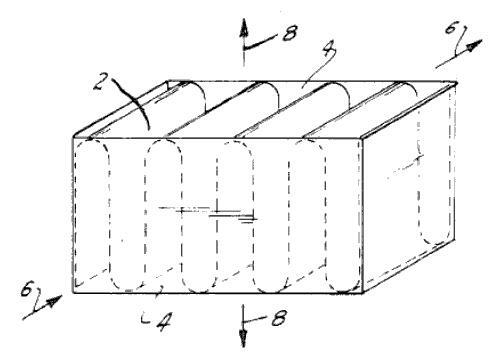 "The beauty of Heil`s system is that because the 'pleats'in the membrane are highly efficient, the motor system has neither to be large nor high-powered. 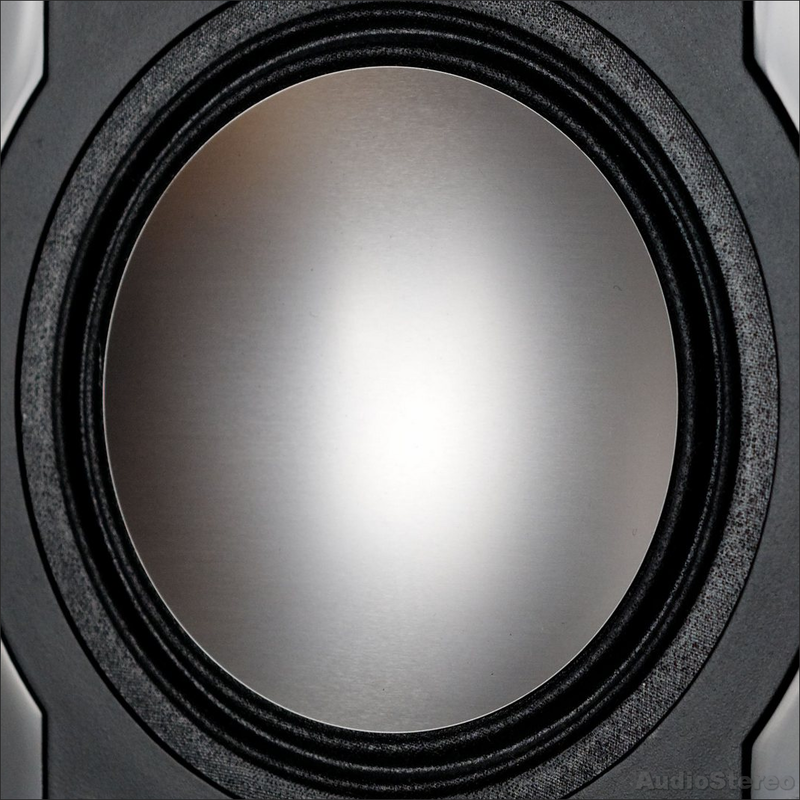 Also because the pleated membrane is inherently 'loose', its resonant frequency is well outside its operating range – something that can't be said of any dome tweeter ... ELAC calls its version a 'JET' tweeter." 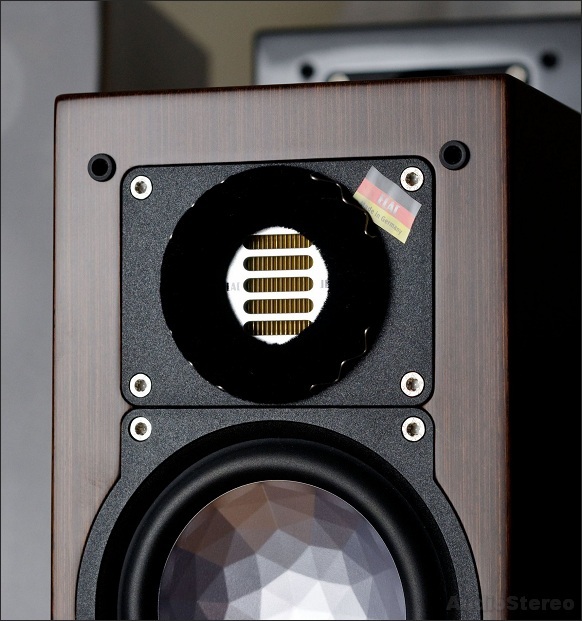 The 4Pi tweeter was developed by ELAC and members of the Dutch Van den Hul/Bakker group in 1984. The patented 4Pi tweeter became a symbol of high-quality tweeter reproduction. 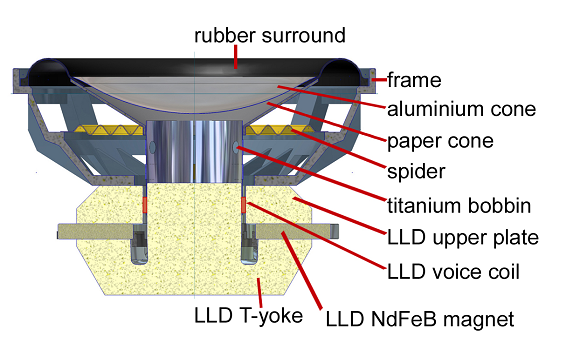 A 0.006mm aluminium ribbon tweeter forms a leight-weight diaphragm that provides excellent impulse reproduction. Moving coils that increase the oscillating mass of conventional tweeters and create impulses for reproduction are not essential anymore. The sawtooth-shaped ribbon reinforces the diaphragm and enables increased mobility at higher levels. 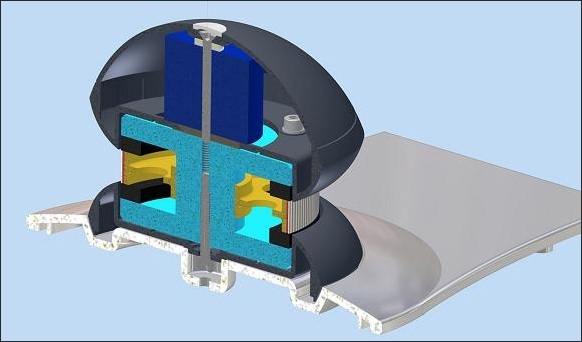 In comparison to previous models, the arrangement of new neodymium rings create a field of force that provides three times higher efficiency ( + 5 dB) of more than 90 dB/ 2.8 V/m. 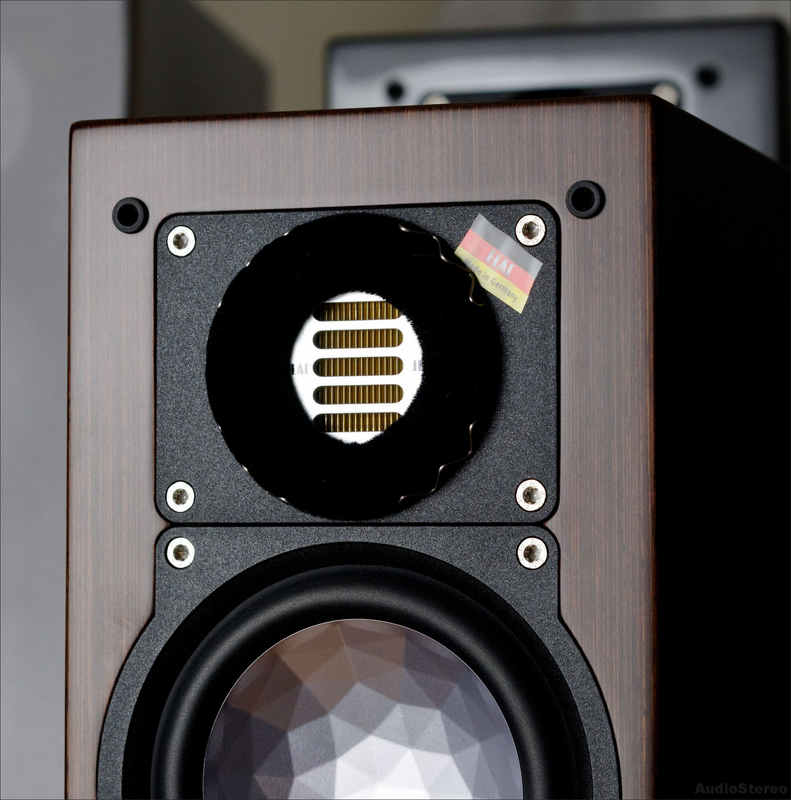 The 4Pi tweeter starts off at 4kHz – it yields a resonance-free cut-off frequency of 53kHz and makes this loudspeaker an ideal component for the reproduction of Hi-Res Audio music. 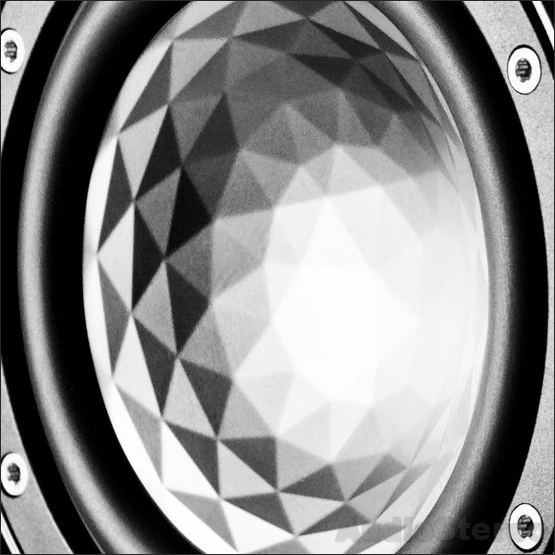 The 4Pi technology creates homogenous radiation of high frequencies and offers homogenous sound propagation. 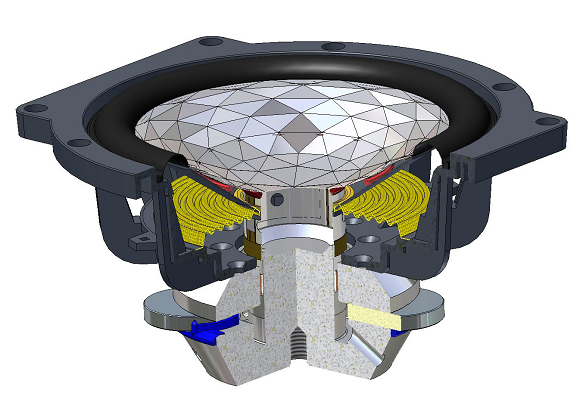 Precise imaging and a 360 degree omni-directional sound radiation pattern results in an enlarged actual listening area. 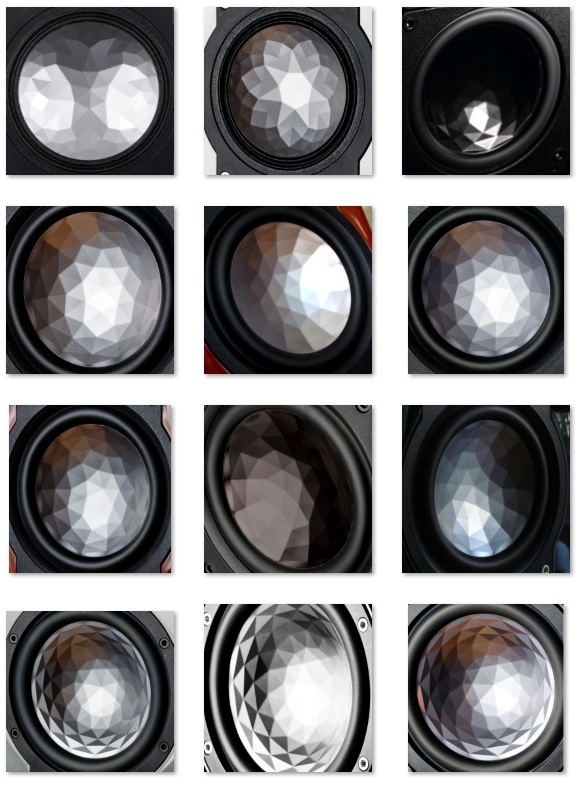 "Transparency and image placement were both improved, while the tonality and harmonics of mid and high-frequencies were both significantly better. Percussion detail was more natural, the nature of the instrument more apparent. But it was the texture and tonality in the lower-mid and bass that really impressed, with much greater definition and detail readily apparent. Dynamic speed, precision and substance were all improved along with the shape and duration of individual notes, making dynamic contrasts more emphatic and musically effective. This increase in presence extended across the entire range, brass in particular gaining body and a satisfyingly realistic rip to its tone. Overall timing was also improved with musical phrasing making more sense. [...] This ELAC super-tweter extends the performance available from existing speaker systems in a significant and musically imporlant way. High-frequency extension is no optional tweak - it's a musical necessity, making your system more natural and more naturally communicative." 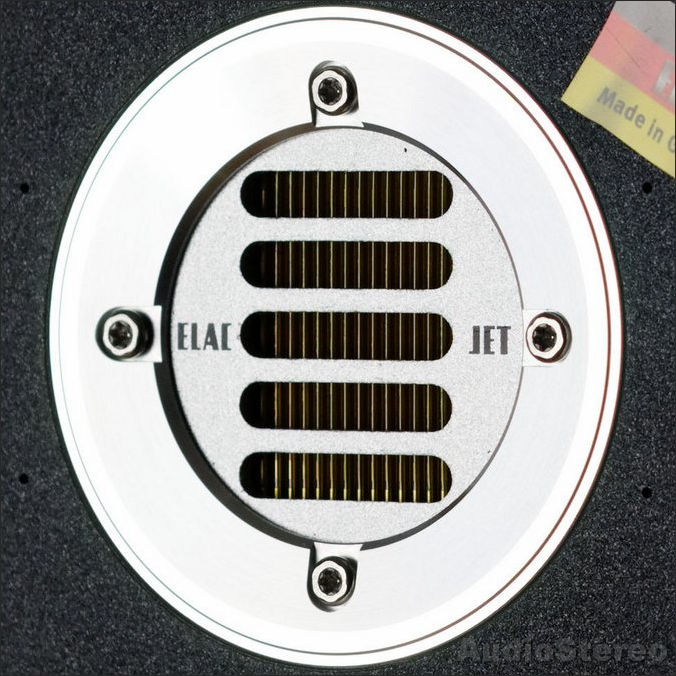 Nearly invisible but acoustically tremendous: the ELAC VX-JET. 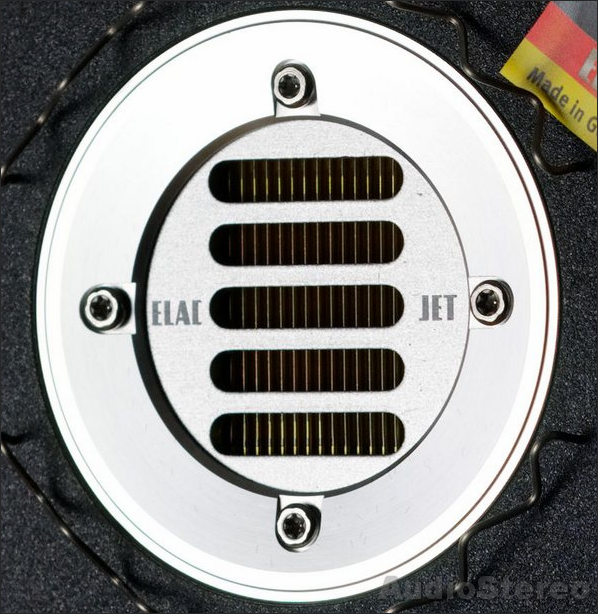 Basis for this innovative driver is the famous ELAC X-JET driver, a combination of the well reputed JET tweeter coaxially surrounded by the midrange driver. The innovation of the VX-JET is the variably adjustable position of the driver, therefore the name VX-JET. 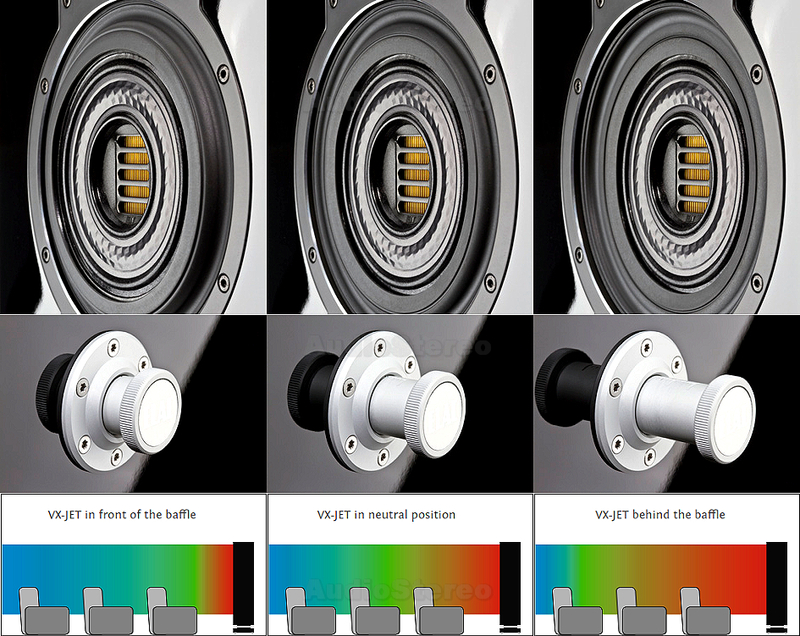 By means of an continuously adjusting knob at the rear side of the speaker the whole VX-JET driver may be moved 8 mm out (in front of the baffle) or 8 mm in (behind the baffle). The idea behind is the fact that each room has its own acoustical behaviour and the same speaker produces different sounds in different rooms. 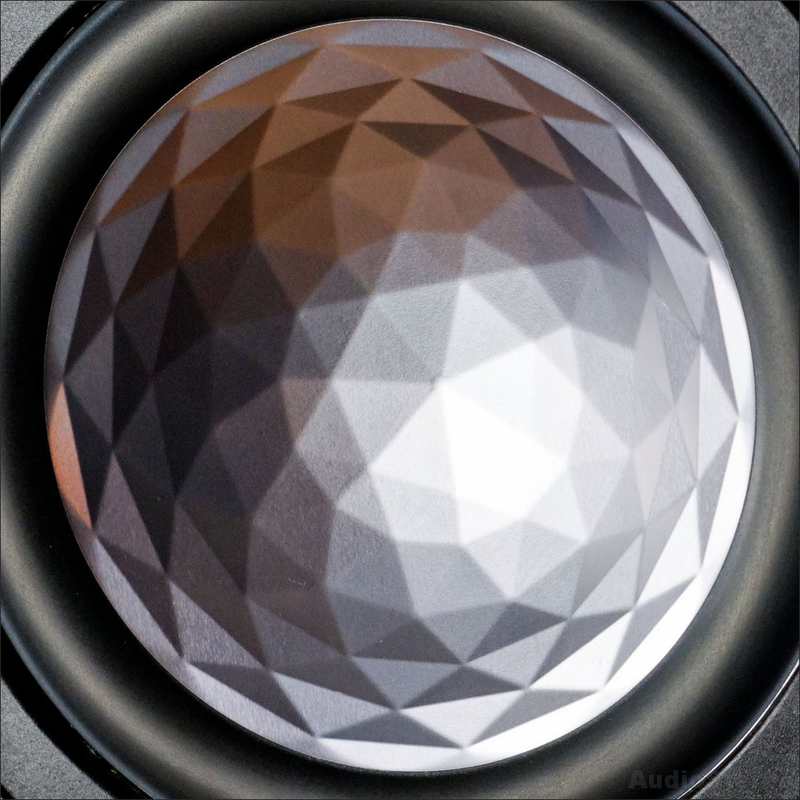 The wish of “one speaker for all rooms” has been a myth … until today. Because now, it is possible to adapt the speaker to the room. 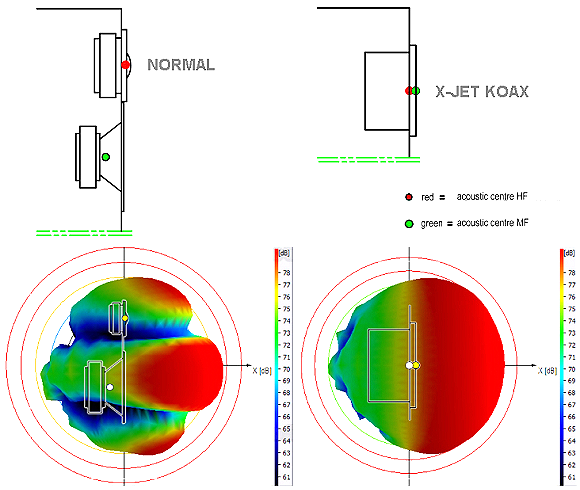 By varying the position of the VX-JET, the directivity pattern of the mid-/highfrequency range can be adjusted. 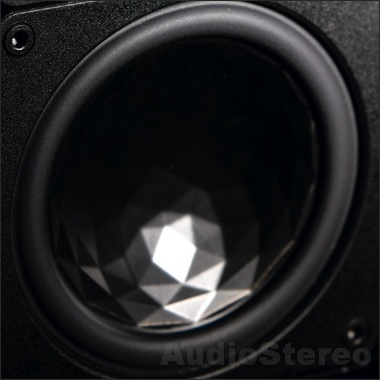 The result is not a variation of the sound of the speaker but a variation of the ratio between direct and reflected sound at the listening position. 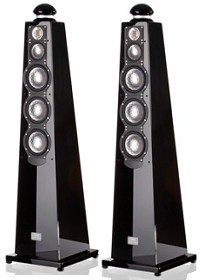 For the first time the VX-JET allows a constant spaciousness over a number of different rooms and listening distances. 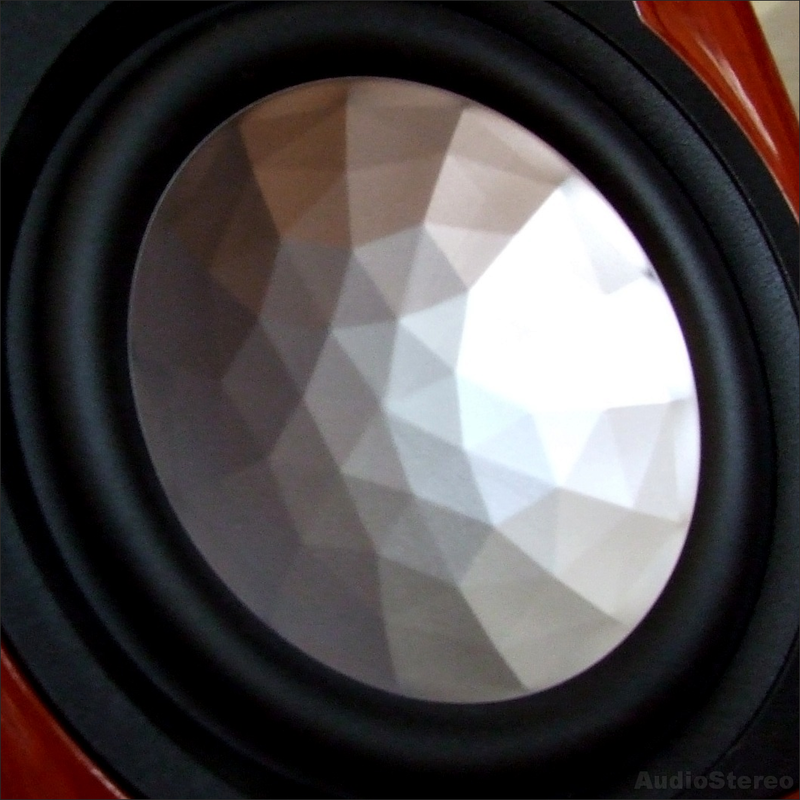 If there is to much reflected sound at the listening position (the result is an indifferent and diffuse sound), e.g. caused by room architecture with many acoustically hard surfaces (e.g. 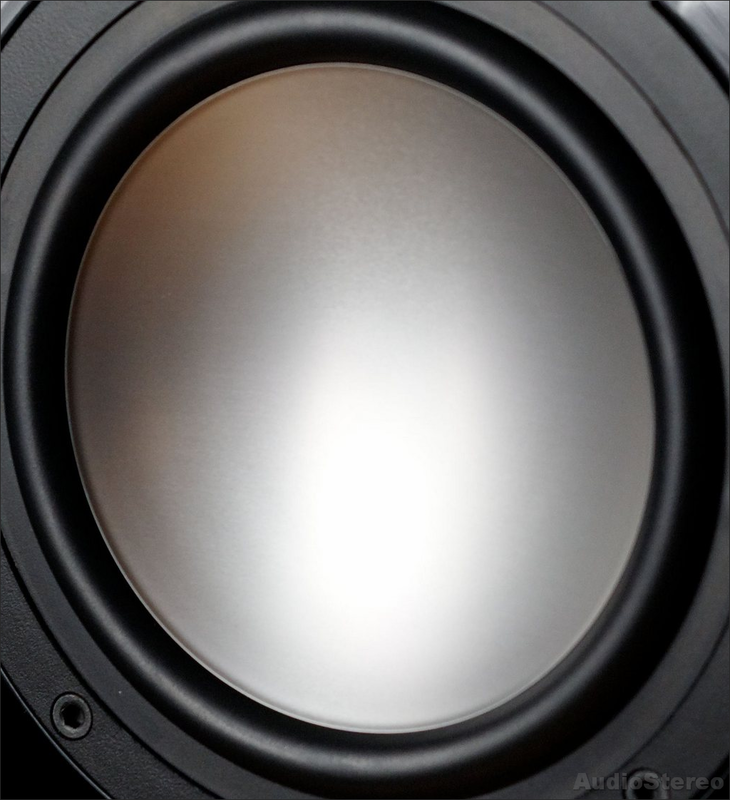 glass) or by a large distance between speaker and listening position, the positioning of the VX-JET behind the baffle will help. 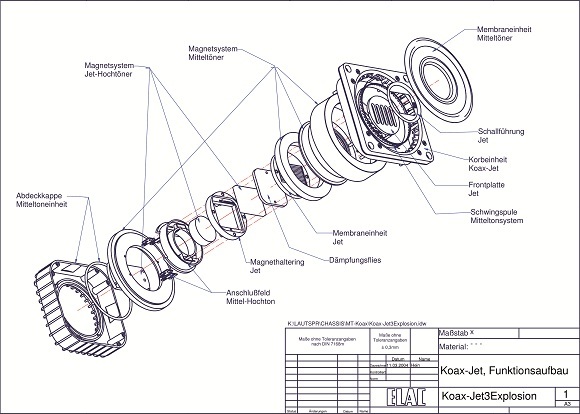 The ratio of the reflected sound which reaches the ear of the listener will be reduced. The result is a vivid reproduction allowing differentiated locating. If on the other hand the ratio of reflected sound is too low, e.g. 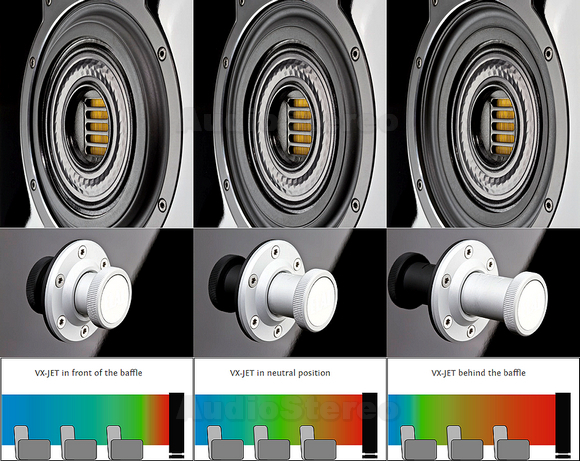 caused by a large quantity of sound absorbing objects in the room, or a very short distance between speaker and listening position, which reduces the impression of room and the feeling to be part of the action, it is a good idea to move the VX-JET out (in front of the baffle). Now the ratio of reflected sound at the listening position will be increased. 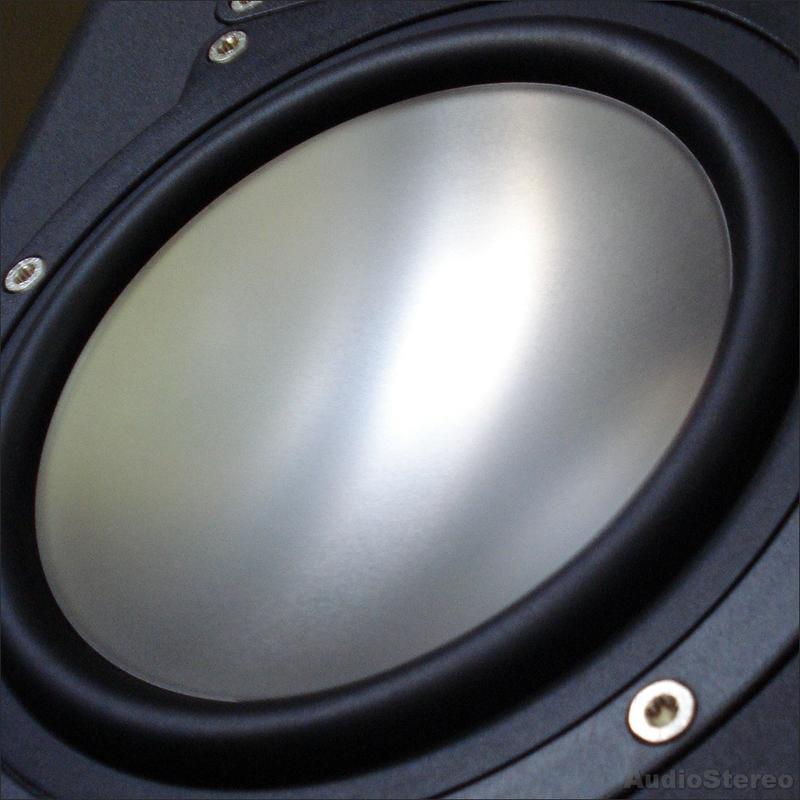 The result is a spacious sound impression which is unlimited by the distance between the loudspeakers. 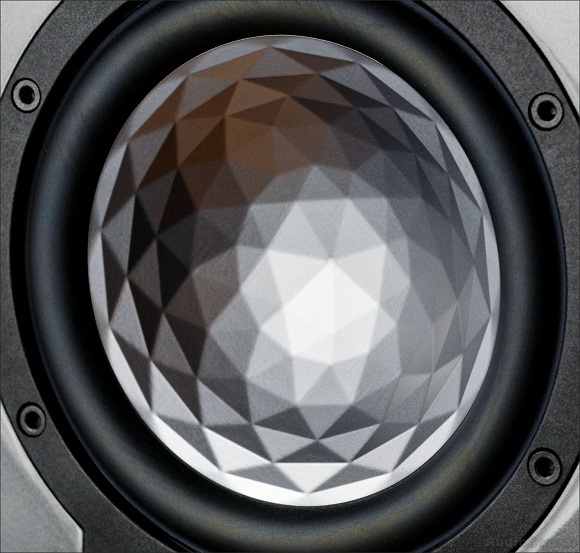 With ELACs coaxial technology the two drivers are not positioned on one ‚axis’, but more advantageous, they are arranged on the same acoustics plane. This way the VX-JET design approaches the radiation pattern of an ideal point source! 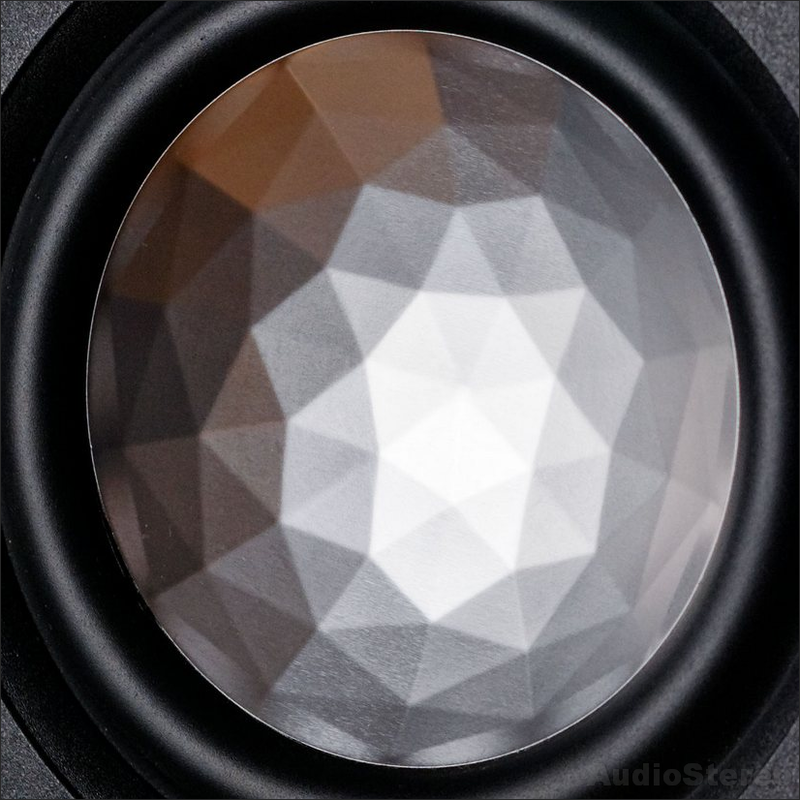 This facilitates an optimized acoustic power response and results in a homogeneous and very wide sound dispersion angle (s.a. the graphics above) which provides for a new kind of relaxed but very precise and detailed reproduction. 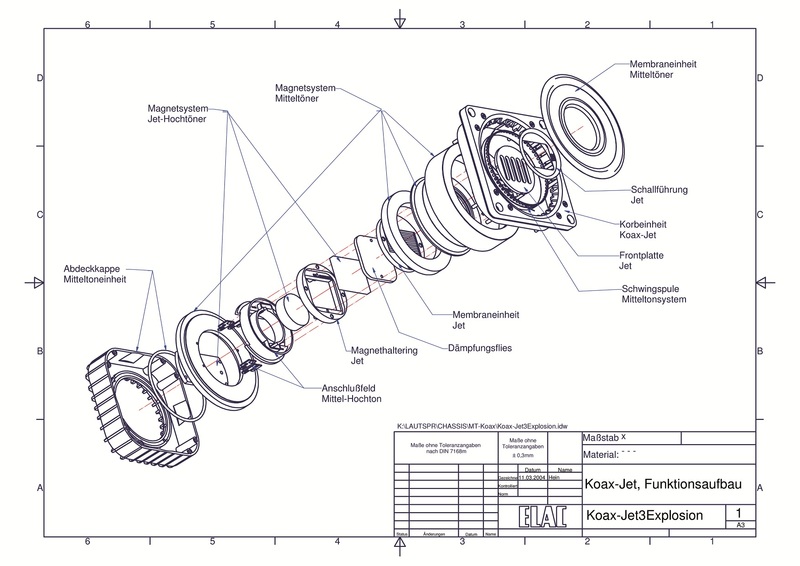 Coaxial sytem exploded view: the VX-JET consists of two separate driver systems: The flat aluminium honeycomb midrange-tweeter driver for the midrange and the JET tweeter for the high frequencies. This combination offers a number of features and covers a frequency range of 7 octaves (400Hz – 50kHz). 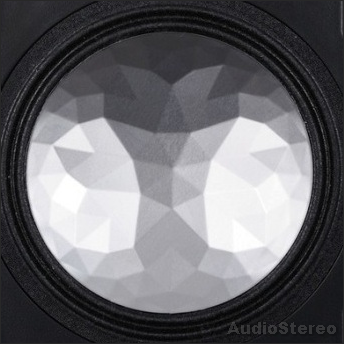 With ELACs coaxial technology the two drivers are not positioned on one ‚axis’, but more advantageous, they are arranged on the same acoustics plane. This way, the loudspeaker approaches the ideal point source. 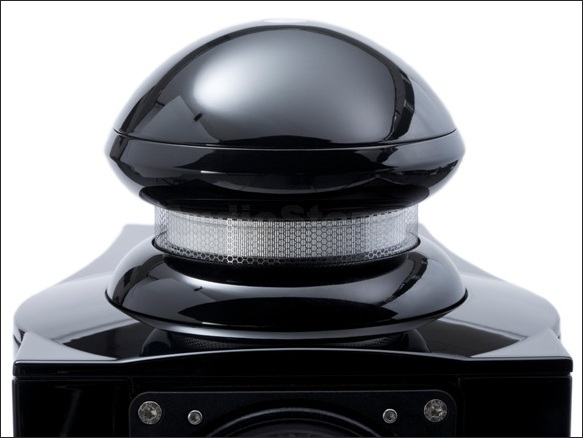 The voice coil is not only - like usually - joined to the neck of the paper cone, but also to the bottom of the aluminium dome. This design results in the expansion of the transmission range of the respective woofers or midrange drivers by nearly an octave. Therefore the abbreviation "XR" (eXtended Range) has been introduced. 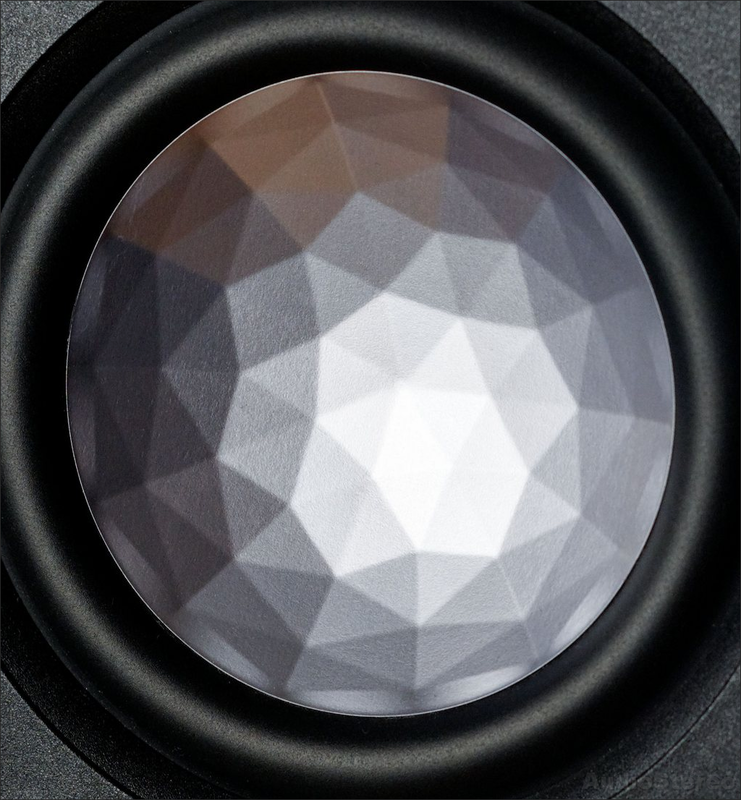 Due to the specially wide double asymmetrical ('DAS') rubber surround, ELAC's TT 180 woofer can handle up to ±15mm long stroke. This provides maximum level supply and mellow low bass. For a driver this size, such a large displacement represent a unique engineering achievement. 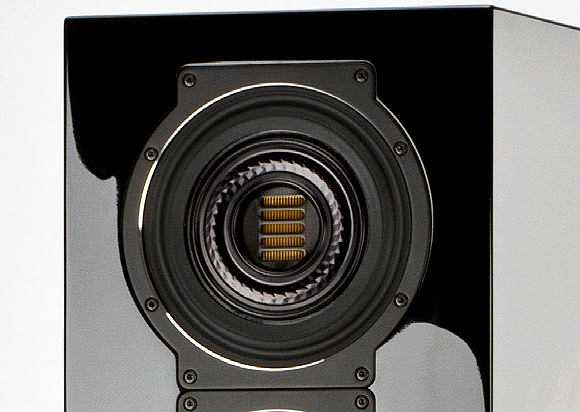 Most of ELAC Speakers use ELAC’s proprietary aluminium sandwich technique. 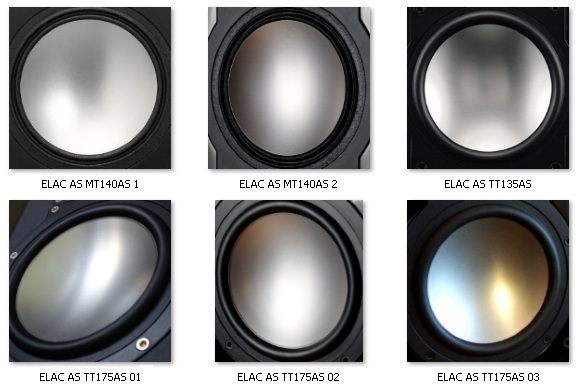 All ELAC Aluminium Sandwich drivers are designed, engineered and manufactured in-house at our facility in Kiel, Northern Germany. In a special gluing procedure, a 0.2mm thick aluminium foil layer is combined with a cellulose cone forming a sandwich membrane. 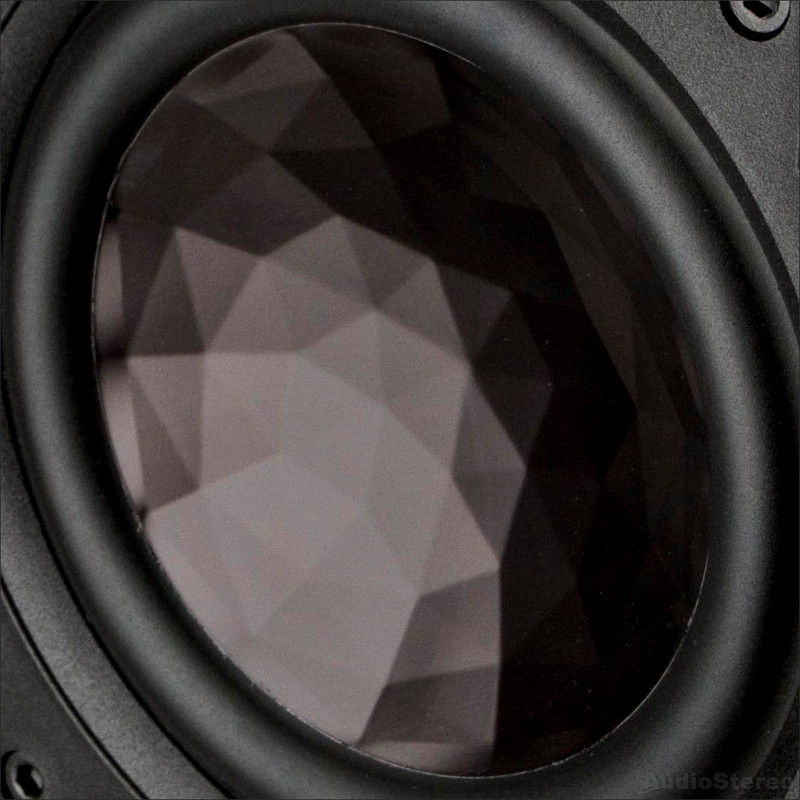 Available in a number of sizes from 115mm to 250mm in diameter, both active and passive drivers are used in ELAC cinema packs, stereo speakers (both bookshelf and floorstanding), centre channels and subwoofers. 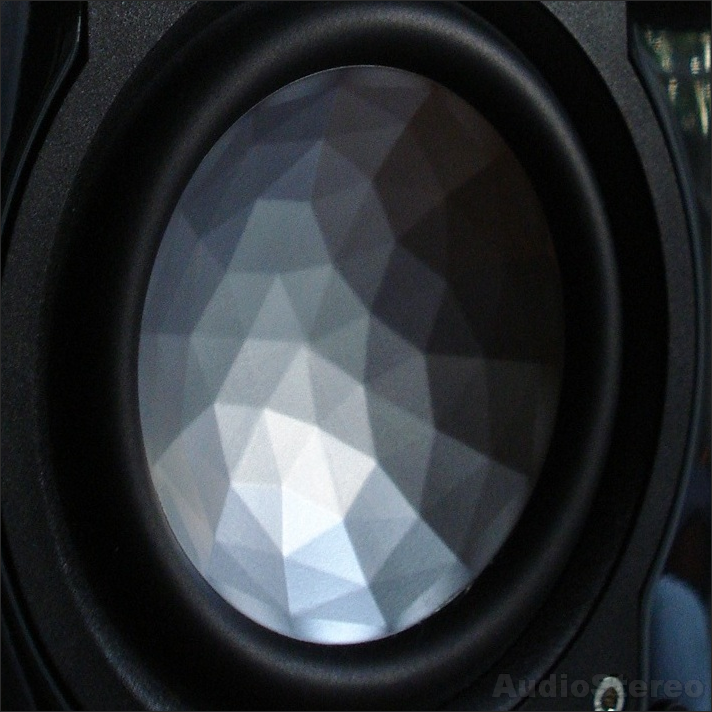 This technique, in combination with ELAC’s special wide double asymmetrical ('DAS') rubber surround, retains the transient benefits of cellulose cones with the torsional rigidity of aluminium and allows exceptionally long cone throw for better handling of high signal levels and low bass. 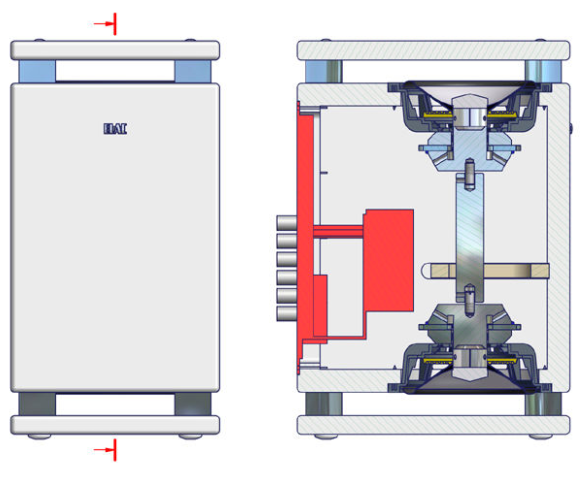 The LLD driver technology (Long Linear Drive) is based on the movement of a short-wound coil (winding height: 6.5 mm) in a long air gap (height: 16 mm) with a homogeneous magnetic field. 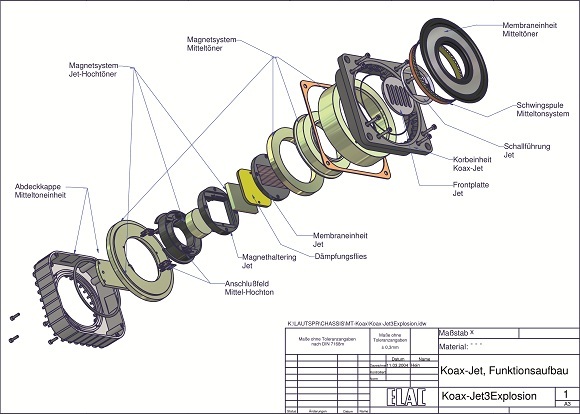 This design results in extremely linear (without distortions) movement within an amplitude of ±8 mm. The voice coil exactly mirrors the applied audio signal. The maximum displacement is an impressive ±16 mm. 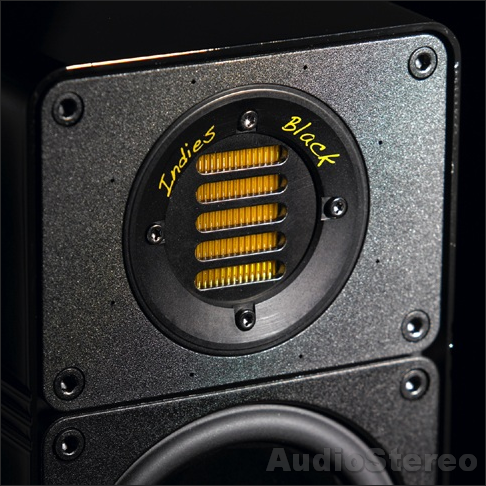 ELAC's LLD woofers use high-quality titanium bobbins for greater mechanical stability. This also reduces eddy-current losses and helps achieve deeper and more precise bass reproduction. Neodymium magnets are used to increase magnetic flux density and to save space, providing optimum magnetic field geometry and greater efficiency. 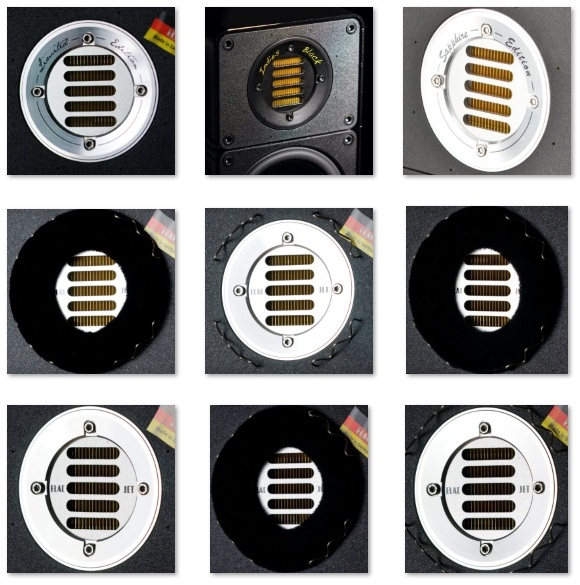 Using several small magnetic plates reduces air noise and helps to keep the temperature low even under high load. ESP® is a frequency- and power-dependent control system. Like in a car, where the Electronic Stabilization Programme permanently controls the balance and ensures a reliable performance of the car even in extreme situations, ELAC's ESP® subwoofers act in a similar way. Their electronic components ensure that even under maximum power no background noises can be detected. 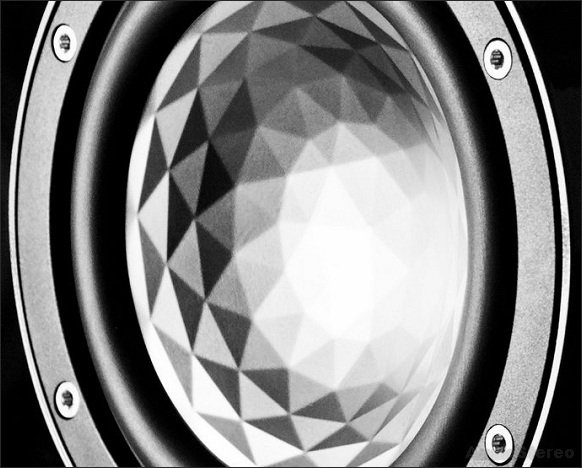 Contrary to conventional active subwoofers, it is now practically impossible to overdrive ELAC ESP® subwoofers. The measuring diagrams show the harmonic distortions (excitation frequency, K2, K3) and the disharmonic (non-linear) distortions. The Y axis defines the volume (dB), the X axis the frequency (Hz). 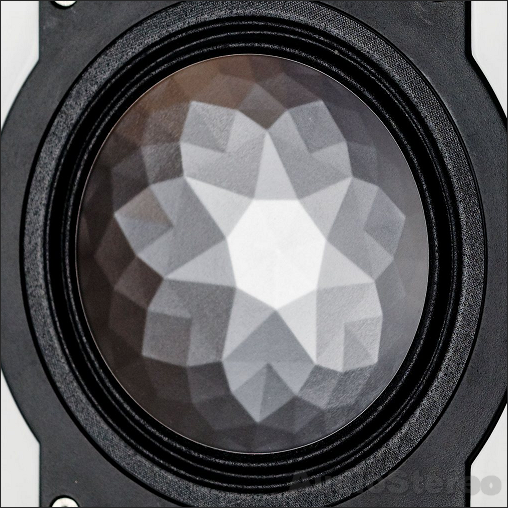 Clearly, the 'more loudly' a subwoofer plays, the more disharmonic distortions it produces. 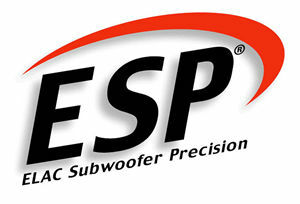 Subwoofer without ESP® : The above subwoofer produces distinctly more non-linear distortions. 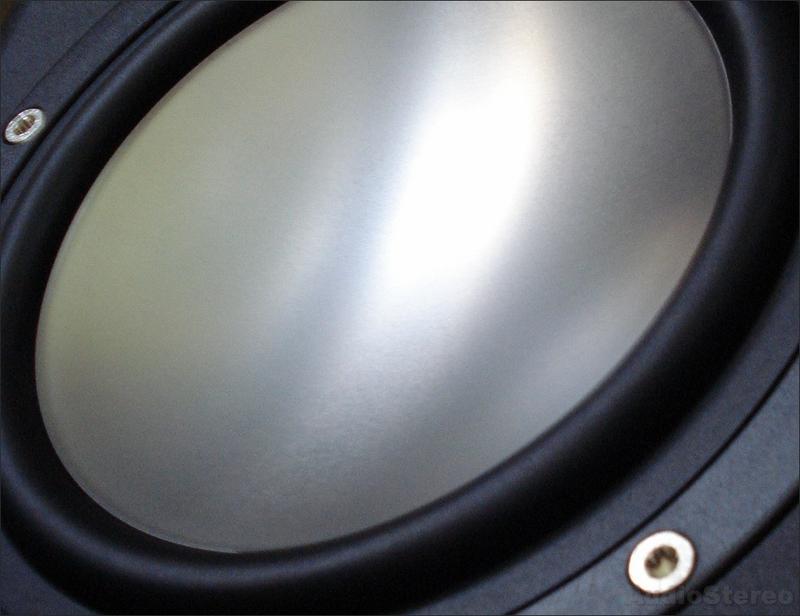 Subwoofer with ESP® : The measurement shows noticeably less non-linear distortions. Fewer peaks mean almost no distortions.